Christian Louboutin has failed to impress me! After unsuccessful hunts in five Louboutin boutiques in three countries, I’d nearly given up on ever finding a pair of these red soled lovelies in my all too popular size. 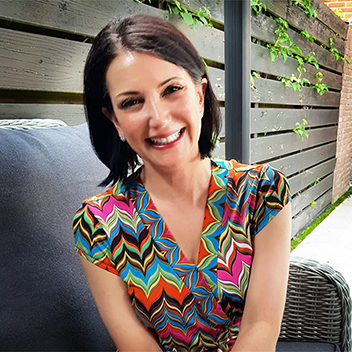 My losing streak seemed to end last week in London at Selfridges, when I fell in love at first sight with this pair of Neofilo 120 Platform Pumps, which by some miracle, they had in my size. First world problem, but REALLY???. After paying £525 for a pair of shoes, one of which is clearly of inferior quality, they expect me to pay the return postage so that ‘as a gesture of goodwill’ I can receive a replacement of appropriate quality? 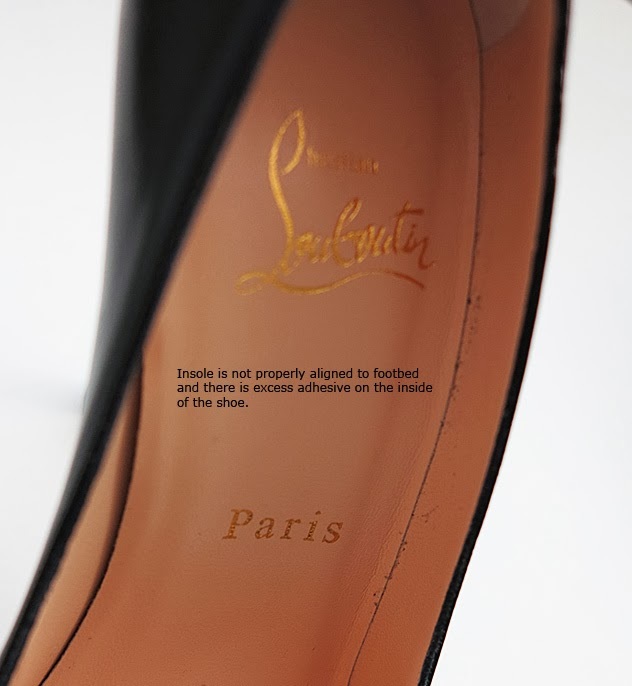 If this shoe is in fact what Louboutin deems to be appropriate quality, then they should be ashamed. I could probably have found similar quality counterfeit Louboutins on Canal Street for a tenth of the price! I’m really in a quandary. On principle, I want to insist on a refund, but I’d bought the shoes to complement my other insanely indulgent London purchase, a Louis Vuitton Alma bag! Either way, I’m appalled at the poor quality of Christian Louboutin shoes, and their very poor customer service. This is not my first pair of designer shoes, but regardless of what I decide, this will be my first and last pair of Louboutins. Update: After sharing this post on social media, it started to gain traction and Christian Louboutin changed their tune and paid for shipping back to Selfridges. No apology or other compensation was offered, and I’m still very disappointed by the product and service I received from this supposed luxury brand. 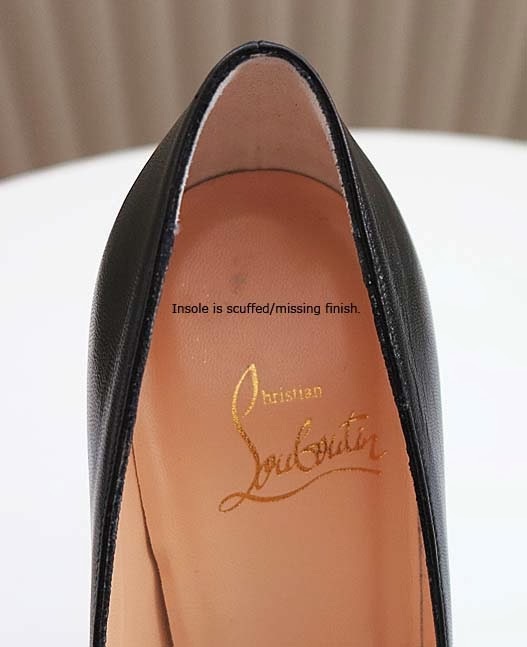 If you must have those red soles, look them over carefully… I stand by my opinion that Christian Louboutin shoes are of poor quality and not worth their price. If you really want them, I’d encourage you to set the irritation aside and let them send you a new pair of the expected quality. If you would prefer to make the point, just return them. Such a disappointing hassle either way. They do look faux, unfortunately. It’s annoying but you have the chance to have a blog and put pressure on them. I’ll share you article, maybe they will think twice before putting 525£ shoes with extra glue on the side in store! I’d go the refund route OR negotiate with them. They reduce the price – to say, oh…half? – and they pay the shipping b/c you want to be fair with them. This way you get a partial refund and a new set of proper shoes? Purchased at Neiman Marcus. After wearing the medium pumps three times, the heel is totally worn off. Poorest quality shoes I have ever worn. Never buy this brand. I have 6 pairs of louboutin shoes. Out of it, two shoes had problem. One heel just broke in the middle other came loose. ( I’m 5’6” and 140 ponds). No service, nothing. Call them and they told me to send them to New York for reapers at my expense. I’m in Canada West Coast. Costumer service was so bad. They don’t care. They made me fill like, you stupid idiot you wanted red soil you have it. I will never buy their shoes. Just to let you know Holt Renfrew paid for fixing broken heel…. The other I had to take to cobbler. Just to compare it, I have 8 pairs of Casadei and only one shoe had problem. Called Casadei and they fixed the shoe in Italy in they manufactory for free including shipping, even though the shoes were 3 years old. Another thing is bottom soil, which is so thin you will get holes after a few uses. I ware my shoes to work like any other shoe. So not only you have to pay $50.00 to fix it but now you get embarrassing red rubber soils and you look like you ware fakes.